A move made by Jacksonville recently may have gone unnoticed by Colts fans – the Jaguars hired former Colts tight end Marcus Pollard to oversee Player Development and Youth Football. What a solid move by a divisional foe. I know Marcus was one of the most popular Colts ever, and I would think he is loved universally by those who follow the Horseshoe. Marcus came to the Colts on the scouting tip from a part-time personnel man named Ken Geiger. Geiger, who worked under Bill Tobin, saw Marcus play basketball at Bradley. Geiger liked Pollard’s athletic ability and thought he might have a football future. After opening 1995 on the practice squad, he later appeared in eight games. By 1996, he was at home at tight end. Pollard’s first career reception that year went 48 yards for a score. He bowled over about six Dallas players on the way to the end zone in a great 25-24 comeback win. Pollard played in 146 games with the Colts, starting 102 from 1995-2004. He caught 263 passes for 3,391 yards and 35 touchdowns. After leaving the Colts, Pollard played in Detroit (2005-06), Seattle (2007) and Atlanta (one game, 2008). He appeared in 192 career games, catching 349 passes for 4,280 yards and 40 scores – stupendous totals for a player whose first taste of football came at its highest level. Pollard’s 13-year career was a testament to his ability – Geiger was spot on. His ability to thrive in the NFL beyond the playing field is a testament to the person. Each NFL team employs a staff member who helps advise current players how to prosper outside the field’s border. David Thornton is that person with the Colts. 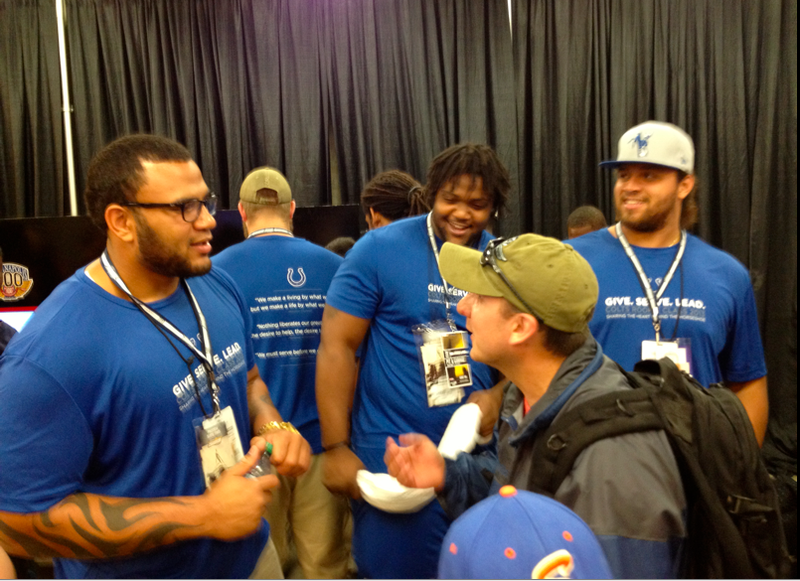 Pollard and Thornton were teammates from 2002-04 with the Colts. They were components that helped the team go 10-6, 12-4 and 12-4 while making the playoffs all three years and reaching the AFC Championship game in 2003. Colts players know they can take to the bank any advice Thornton gives. Jaguars players will find the same true of Pollard. Players in both franchises would do well to model themselves after the examples Thornton and Pollard provide. Speaking for many Colts fans, all the best, Marcus. A familiar face is aligned with a staunch foe, but Marcus always represented the Colts and Indianapolis well.